It is now not only legal to burn native forest wood to produce electricity - but the federal government supports it by giving out renewable energy certificates for cutting down trees and burning them for power production. 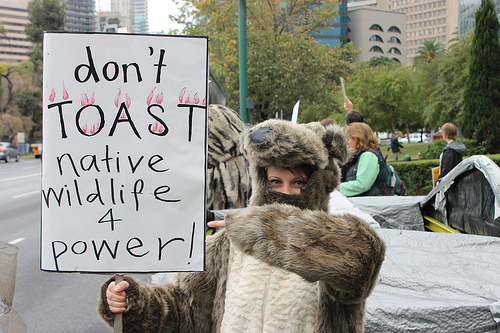 That means that some of the electricity that powers your kettle and toaster is coming from the destruction of native forests. 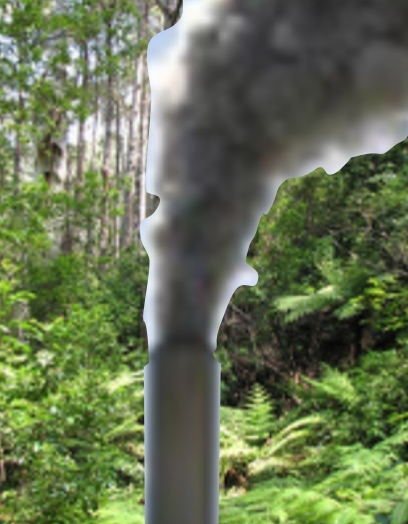 Burning native forests for energy produces large amounts of greenhouse gases – more so per unit of energy generated than is burning coal. The claim that eventually that carbon is recaptured by growing forest is discredited because that argument ignores the time factor for such recovery, which is measured in many decades or even centuries. We have much less time to substantially decrease our emissions if we are to turn the problem of serious climate change around. Under industrial logging regimes native forests never do recover to their original state or carbon content, but remain in logging rotations that sit at between 40-60% less carbon. Logging forests also causes significant loss of soil carbon and emissions from the operation of machinery and transportation of wood. Burning native forest wood, including whole logs, to produce a fraction of the country’s electricity is step back to the 1500s and has no place in a truly progressive and far sighted nation's policy. It also has the potential to compete with and displace truly clean and renewable technologies. Currently there is a downturn in exports of woodchips, especially to Japan, caused by demand by competition from cheaper suppliers, the demand for higher standards of certification for wood products and the higher Australian dollar. As the demand for native forest wood continues to fall  the logging industry views the burning of native forests for electricity as an opportunity to move seamlessly into a new industry. The Australian Forest Products Association makes it clear that it is advocating for changing the Renewable Energy rules is to use non-sawlog native forest wood for power generation, i.e. any of the 80-90% of logged forest that is currently woodchipped. In 2015 the federal rules were changed to include native forests as eligible for renewable energy certificates. On the other hand, with the currently economic downturn causing lower demand and the high Australian dollar, there is now an opportunity to end native forest logging and transition the industry to a sustainable plantation basis. There are other opportunities to establish real renewable industries in Australia, whereas classifying this form of energy as ‘renewable’ will actively reduce the demand for genuine renewables like wind and solar. 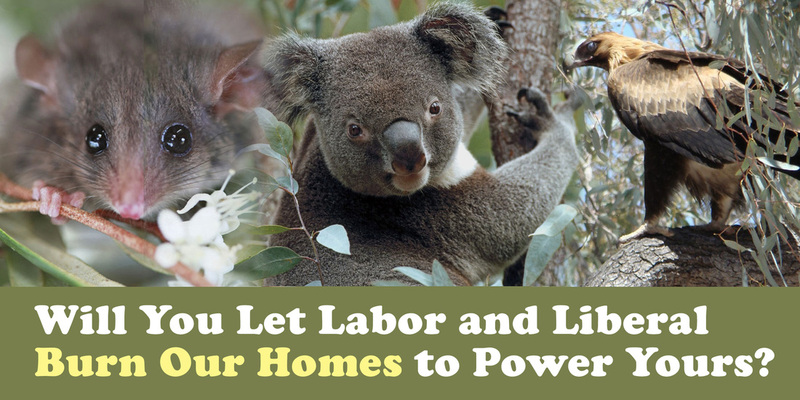 Bio-energy from native forests is not renewable. 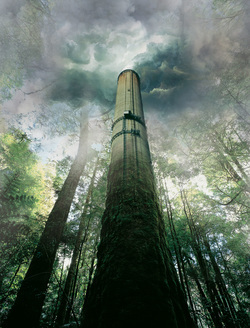 The idea of renewable energy is based on regrowth absorbing the carbon equivalent to that which is lost in logging. Logged forests lose around 60% of their carbon stock when logged, but it takes decades to centuries for full renewal . Some of these unlogged forests have been shown to be at least 600-800 years old using radio carbon dating techniques. The loss of stored carbon does not even include soil carbon loss, and loss from management, transportation and processing activities. It cannot be claimed that burning biomass creates little or no net GHG emissions unless one is prepared to ignore the source of the biomass. Native forests cannot be managed for carbon neutrality, except over very long periods of time – far longer than the climate scientists say is needed to take action. There is every indication that this form of energy is more carbon intensive than burning coal, and could be at least 4 times as carbon intensive as burning coal. A recent UK study recommended that subsides for forest biomass burning be withdrawn and full carbon accounting be implemented. Other countries are now struggling to rectify some of the mistakes of the past in using biomass for power. Dr. David Lindenmayer, professor of environmental studies at ANU and Dr Brendan Mackey from ANU Centre for Resourses & Environment Studies have written the following on the subject of burning forests to create electricity. "The bottom line is that the sort of intensive wood product harvesting we are doing now created major ecological problems in North America and Scandinavia ... Those countries are now spending huge amounts of money trying to fix bad decisions." " It is clear that policy makers and forest managers in Australia have not learned from the mistakes made in many other countries and they appear to be oblivious to the problems that flow from intensive large scale industrial projects such as charcoal mills and power plants based on burning wood from native forests." Forests importantly absorb vast amounts of carbon dioxide, and recent studies have shown that Australian mountain ash forests are amongst the highest in the world at absorbing CO2. Scientists now agree that Australia could reduce its greenhouse gas emissions by almost 10% by leaving its native forests intact, roughly equivalent to the emissions from the manufacturing and construction sectors, simply by stopping woodchipping. While plantations offer a very viable alternative to native forest woodchipping and logging them is less emissions intensive, the native forest industries have consistently resisted the idea of switching to plantation timbers. They have a continuing cheap source of timber in native forests and can offer our forests at prices that plantation owners, with the need to make a profit, cannot match.